Diamonds have been discovered on Mars. 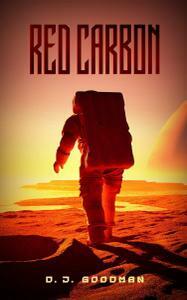 After years of neglect to space programs around the world, a ruthless corporation has made it to the Red Planet first, establishing their own mining operation with its own rules and laws, its own class system, and little oversight from Earth. Conditions are harsh, but its people have learned how to make the Martian colony home. But something has gone catastrophically wrong on Earth. As the colony leaders try to cover it up, hacker Leah Hartnup is getting suspicious. Her boundless curiosity will lead her to a horrifying truth: they are cut off, possibly forever. There are no more supplies coming. There will be no more support. There is no more mission to accomplish. All that's left is one goal: survival.